As part of the Governments National Development Vision, it is expected that the minerals sector will contribute 10% of GDP in Tanzania by 2025. 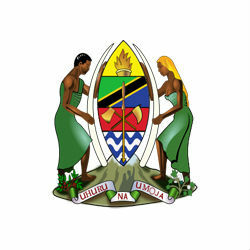 The prediction was announced by Professor Sospeter Muhongo, Minister for Energy and Minerals while attending a workshop in Tanzania organised by the Geological Survey of Tanzania (GST). It is hoped that the mining sector can be used as a stimulus for generating positive socioeconomic impacts and address key social issues such as poverty by increasing its contribution to GDP rom 5% currently to 10% by 2025. Mr Eliakim Maswi, Permanent Secretary to the Ministry of Energy and Minerals added that by improving the socioeconomic impacts of mining, local and foreign investments would also be enhanced. Gold is still the most valuable mineral for the Tanzanian economy, accounting for 94% of total mineral exports in 2012.